My family are from Hong Kong and so I personally have a strong connection with East Asian food. I also had a biology tutor from the North of India who inspired in me, a love for Indian cuisine that I never thought would surface so often. Most of the food I make at uni is influenced by the styles of either Southern China or Northern India because I love the exciting, punchy flavours that are so prevalent in these cuisines as well as the ease of these cooking styles. With a few basic sauces and spices you can make pretty legit tasting meals in very little time. In this section I'll highlight some staples that all students can easily whip up whilst maintaining that all important budget. The word 'Ramen' gets thrown around a lot these days but it basically means soupy noodles. They are traditionally Japanese but when I do them I tend to make them as if a Cantonese man had heard about these soupy noodles from across the sea and just made up his own recipe. I tend to boil carrots, onions, garlic and ginger in veggie stock with soy sauce, sesame oil and Shaoxing rice wine before dropping my noodles in and sometimes potatoes or mushrooms. You can top them with whatever you want but I find a bit of crunchy fresh veg offers a great contrast to the warm soupy noodles below. 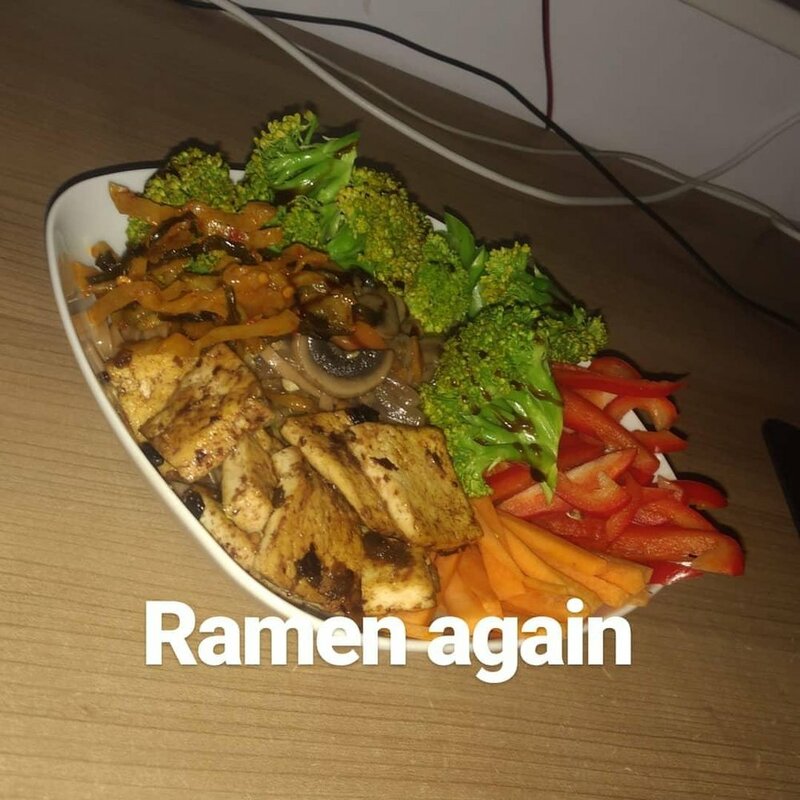 The photo below features the same ramen as on the left but topped with steamed broccoli, sliced red pepper and carrots, tofu and some Chinese pickle. Sushi is definitely a Sunday afternoon kind of meal because it takes a while but once you see your finished result, the effort is definitely worth it and makes for a more exciting vegan meal that leaves nobody feeling as if they're missing out by eating plant based. If you have a rice cooker it's a lot easier but can be done without too. Cook the sushi rice as per instruction on the bag and once it's cooked let it cool. Whilst it is cooling combine sushi vinegar, sugar and salt and mix it through the rice, this will make it sticky and delicious but if you want to avoid sugar and salt then you can leave this step out. Slice whatever veggies you want into thin buttons, we found that avocado, cucumber and pepper were the best options, you can combine them anyway you like. 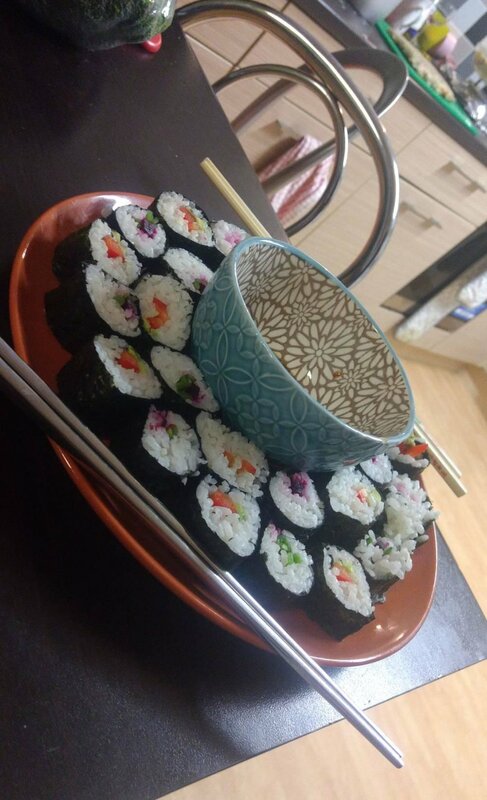 Once the rice is cooled, take a sheet of dried nori and cover about half of it with rice about a centimetre thick and line up your veggies horizontally before using a sushi mat or some other flexible non-stick surface to roll the whole thing up into a nice tight cylinder. Repeat this until you've used all your rice and then slice the rolls into bitesize pieces with a wet knife so it doesn't stick. 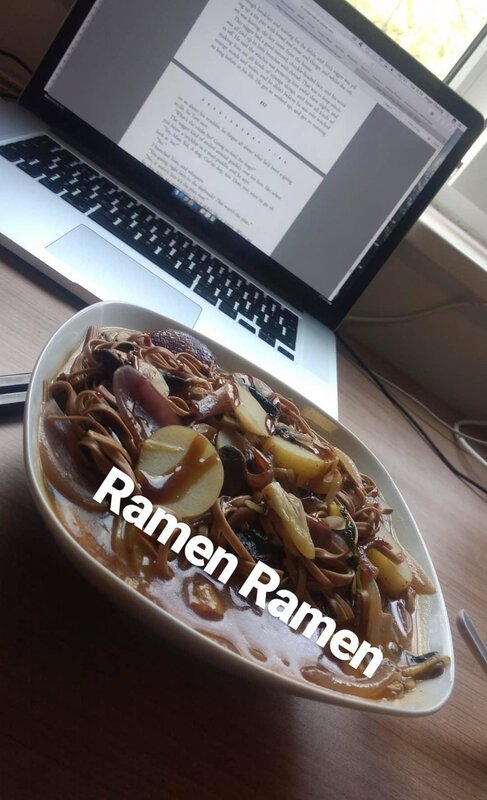 A great meal if you've got somebody you're trying to impress or are just sick of studying. The whole process is very theraputic. This is possibly the most comforting meal you will ever eat. Again, easier with a rice cooker but also just as doable without. If you use leftover rice it's much quicker but I'm not usually that organised. The ratios are 10 cups of water to 1 cup of rice and you basically cook it down until the rice is super mushy like porridge. A classic in Hong Kong, particularly for breakfast... If you throw in a couple of slices of fresh ginger, it adds a new level flavour.